Downton Abbey First 4 Seasons Just $36.99! PLUS FREE Shipping! You are here: Home / Great Deals / Downton Abbey First 4 Seasons Just $36.99! PLUS FREE Shipping! I know there are Downton Abbey fans in the house! Listen up! Today ONLY you can get the Masterpiece: Downton Abbey Seasons 1, 2, 3, & 4 for just $36.99 PLUS FREE shipping, down from $99.99! 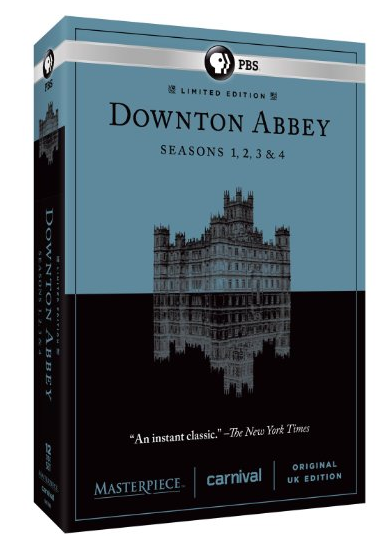 You can also get Masterpiece: Downton Abbey Seasons 1, 2, 3, & 4 [Blu-ray] for just $39.99 PLUS FREE shipping, down from $109.99!